In many markets, WhatsApp is even considered to be a convenient alternative to SMS (texting). This means, people check their messages on WhatsApp more regularly than they would using any other messaging app. Statistics also says that as of July 2018, out of the 1.5 Bn total users, more than 450 million of them use WhatsApp on a DAILY basis! This high level of user acceptance is what makes this app so powerful. One of the other reasons the app has been growing in popularity is the WhatsApp’s ability to add useful features regularly. With WhatsApp on your phone, you can make voice calls, video calls, send voice memos, send documents like PDFs to one or a group, etc. 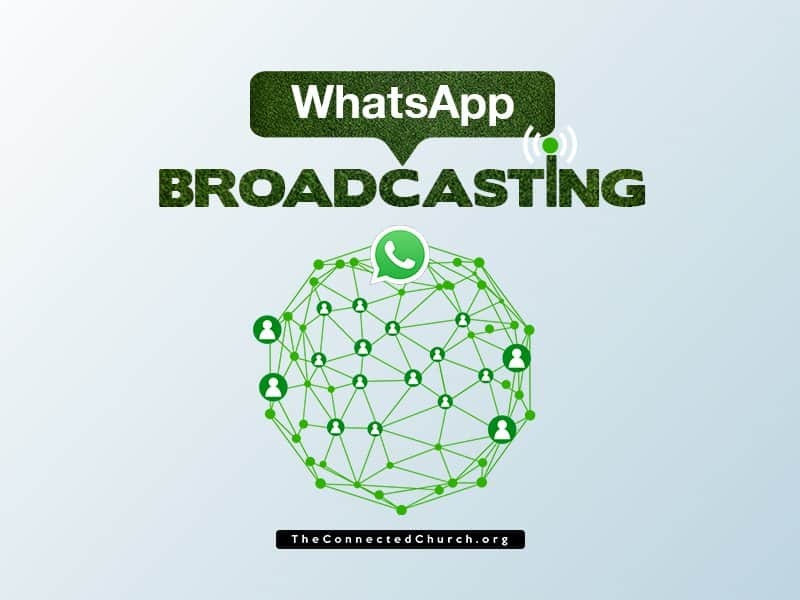 WhatsApp Broadcast List is a feature where you, as an organisation, will be able to send a personal direct message (text, audio, video or a document) from your ministry’s WhatsApp number to multiple people at the same time. The audience will receive your message as a regular WhatsApp direct message from your number. Even though you send it to multiple people at the same time, each of them will receive it as though the message has been sent to them one-on-one, personally. The recipient will not know who else has received this message. So, they will not be able to communicate with anyone else in the list. The closest example to this feature, is BCC in emails (black carbon copy), where we send an email to multiple people without the others knowing who else has been copied in that email. What are the differences between WhatsApp Groups and WhatsApp Broadcast Lists? While ‘Groups’ are also a very useful feature from WhatsApp, its application and purpose is very different from that of ‘Broadcast Lists’. Exclusivity & Confidentiality: In group messaging, everyone will know who else received a message. But in broadcasting, the recipients will not know this information. This makes the communication not only personal and exclusive but also confidential. No Need for Moderation: In group messaging, the recipients will be able to communicate with each other. But in broadcasting, there is no facility to do that. This reduces the operational need as an organisation to moderate group conversations and ensure order within the group. No Worry about Forwards: One of the best features of WhatsApp groups, that can quickly become a challenge is the ‘forwarding’ feature. Forwarded message have a tendency to get out of control if not moderated, resulting in bad user experience for the group members. In broadcast lists, ministries need not worry about this problem. For Broadcast List to work, your ministry’s WhatsApp number needs to be stored on the recipient’s mobile phone contacts list. This is WhatsApp’s way of avoiding spam. This helps them know that the two parties do have a mutual interest in sharing information with each other. And this is a good thing. It should not be a big problem for churches and ministries that have a captive audience. Just make sure that you regularly ask your church members or ministry supporters to store your WhatsApp number on their mobile phones. According to WhatsApp, each broadcast list that you create in WhatsApp can only have 256 contact numbers in it. So, if you have a large audience, you might want to consider splitting your lists into groups of 250 (just for ease of management). Unlimited Lists: The good news is there is NO LIMIT on the number of Broadcast Lists you can create with your WhatsApp account. Do you have a WhatsApp Business account setup? If not, I highly recommend that you do that first. Here is a step-by-step guide on how to setup up a WhatsApp Business account. Even though you could use your individual WhatsApp number, as the ministry grows, it would make it operationally convenient for your team if you setup a WhatsApp Business account and use it for broadcasting to your audience. 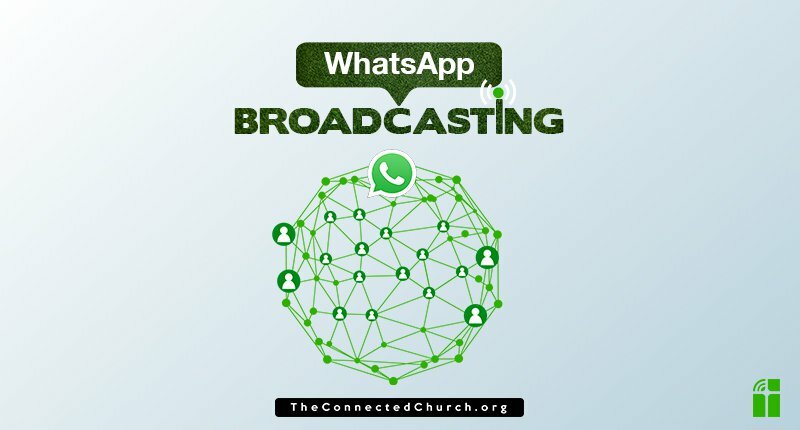 Collect the list of WhatsApp numbers from your church members and ministry audience. This is very similar to the way you will collect an email database. You could do this in the traditional method by filling up a membership form (printed or online) with consent or make it easier for them by asking them to send a test message from their WhatsApp number to yours, and have a backend process to save those numbers to your lists. Segmenting is the key to being relevant. The more you segment your list the more relevant (and less annoying) your messages can be to your audience. For example: the information about change in venue for your men’s small group meeting is not a very relevant message for your Sunday school parents, right? How you will broadcast – the content type like text, image, videos, etc. When you will broadcast – the date and time. I suggest you create a calendar and integrate it with your other communication calendars in the ministry. Delegate the team (or team member) who will do the broadcasting. Equip them with the mobile device, the contact list database and other infrastructure – like connectivity, laptop or desktop if they need to work on WhatsApp for Web version. WhatsApp does not have detailed performance statistics or anaytics like other social platforms. So create a process to collect regular feedback from your ministry audience about your WhatsApp usage on a regular basis. Based on the feedback fine-tune your approach to WhatsApp Broadcasting. Hope that helps. Let me know if you have any questions or thoughts about WhatsApp Broadcast lists using the comments section.